Rise provides cloud infrastructure services through a 100 percent channel model. We recognize the importance of investing in the success of our channel partners’ businesses through economic, technical, service and marketing programs. 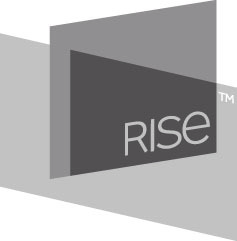 Rise, a premier provider of cloud computing and hosted IT services, is participating in the ASCII IT Success Summit March 22, 2012 in Los Angeles as a sponsor. Rise, who recently joined The ASCII Group, Inc., is proud to offer fellow members who join the Rise partner program significant discounts including free cloud infrastructure services during the first month for the first five reseller contracts, a value of up to $10,000. Rise equips its channel partners with certified and award-winning infrastructure they need to provide cloud services to their customers. This includes virtual and dedicated servers, storage, backup, Web hosting and disaster recovery. Rise hosts these services from the secure infrastructure of Rise's DataCenter on Demand and provide 24/7/ support. ASCII is the largest paying community of independent computer resellers in the world with more than 2,000 members and system wide end-user sales of approximately $10.5 billion. ASCII provides technology tools, products and services to assist independent information technology resellers increase profits, reduce costs, and grow their respective businesses. Rise is the 100 per cent channel division of Fasthosts Internet Group, part of United Internet. Rise provides Cloud Computing and hosted IT services based on its award winning DataCenter on Demand™ platform. Today, more than 500,000 customers rely on Rise to provide hosting services and our DataCenter on Demand platform. For more information, please see: http://us.rise.co.